To apply the action to your entire animation, click the Permanent Selection button in the Tool Properties view. 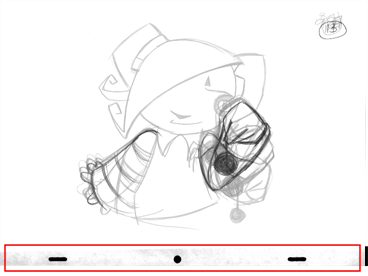 In the Camera or Drawing view, draw a selection around the animation. Make sure the area is large enough to include all the zones to be cleaned up on all drawings. From the top menu, select Drawing > Clean Up > Remove Art Inside Selection to delete artwork inside your selection on one single drawing. You can also press Delete. To apply the action on all your drawings in the layer, select Drawing > Clean Up > Remove Art Inside Selection on All Drawings to delete artwork inside your selection on all the drawings.